A new, purpose-built cement carrier has joined the New Zealand coastal trade, according to a report from IHS Fairplay. The new vessel will help to raise capacity and efficiency in the cement distribution chain, supporting a growing construction sector. 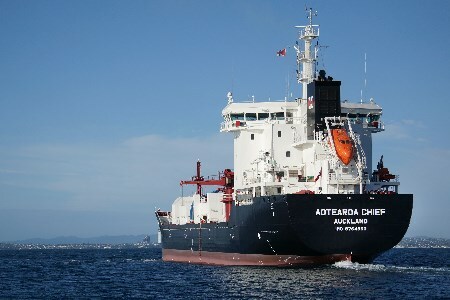 The 9000 DWT Aotearoa Chief was built at the Jinling Shipyard for Swire Group company, China Navigation. It has entered into a long-term charter with Golden Bay Cement, a division of Fletcher Building. The ship is equipped with a fully-enclosed pneumatic handling system and will supply cement from the Whangarei cement plant to distribution centres in Auckland, Tauranga, Napier and Wellington, as well as expanding services to New Plymouth and Picton. In addition to the Aotearoa Chief, Fletcher Group is adding a 6000 t cement storage silo and upgrading the shiploading facilities at Whangarei. Image: Aotearoa Chief. Source: Fletcher Building. For more news from the dry bulk shipping sector, visit our the site of our sister magazine, Dry Bulk.